Tropica is a friendly, comfortably equipped holiday apartment in the upper floor. DIRECT RENT! 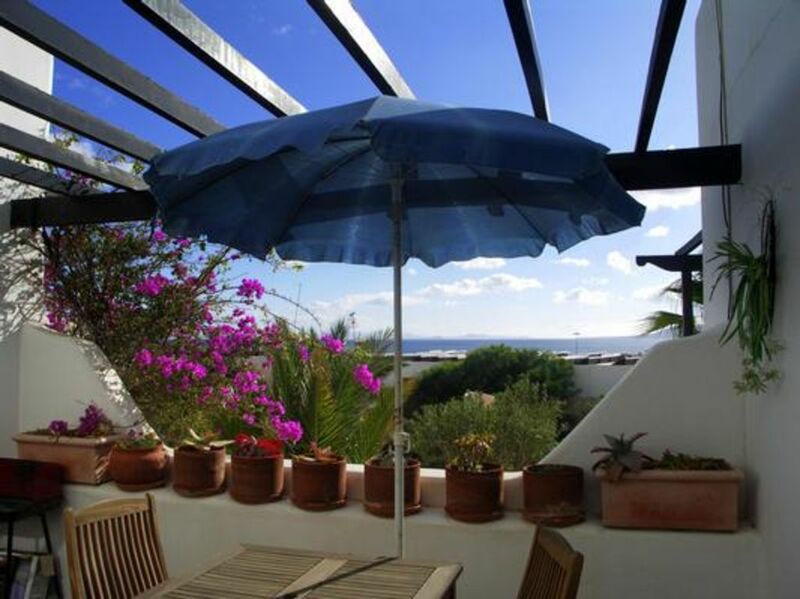 Friendly, comfortable apartments in a small, private condominium in Puerto del Carmen. Central, yet quiet location, about 150 m above the Playa Grande. The apartments are 75 square meters each with 2 bedrooms. OG apartments with balconies and wonderful sea views. Mezzanine with balcony and partial sea view. Tropica is a beautiful OG apartment with balcony and sea view and bathroom with Jacuzzi. At the heart of the complex is a large tropical garden with many different plants. The app. Tropica is a bright, friendly apartment on the 1st floor with balcony and beautiful sea view and bathroom with Jacuzzi. We want you to feel at home with us. The beach "Playa Grande" is just a few minutes walk, shops, restaurants, etc. Everything is within walking distance, including the beach promenade of Puerto del Carmen.